Gauges 11-14-18-28-38-50. Brite Wires are specially formulated to give your guitar a crisp attack, with the nickel plating adding warmth to the overall tone. These strings feature Gibson's Swedish steel "hex" core for added tuning stability. Brite Wires tune up fast and hold their tone longer. No matter what style of music you play, you'll hear why Brite Wires are the choice of professionals worldwide! 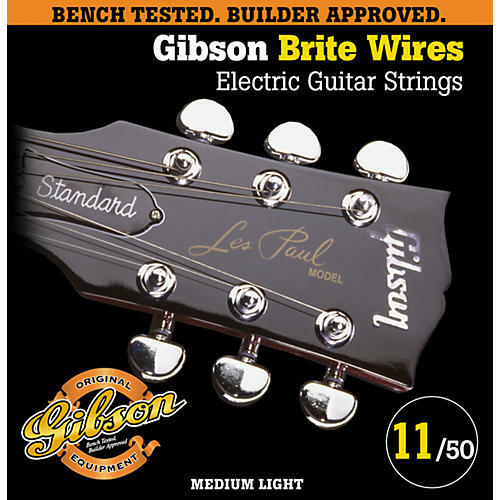 All Gibson strings are bench tested and builder approved to bring the best sound possible out of your instrument.